Improve safety and increase chassis rigidity with a Maximum Motorsports Roll Bar for your 1979-current Mustang. Drag Race 6-point roll bars conform to the NHRA and NMRA rules. Street & Strip 6-point roll bars have a removable harness mount tube. Street 4-point roll bars allow easy access to the rear seat. Sport 4-point roll bars have a harness mount tube. Options: Swing-out door bars, E-Z-Remove door bars, removable harness mount tubes, diagonal braces, and low-slung door bars. Order your roll bar before you need it! Roll bars do NOT ship immediately upon receipt of your order. Allow 6 weeks for build time and 1 week for shipping time for all roll bars. Roll bars weigh between 65-85 pounds depending on model and options. 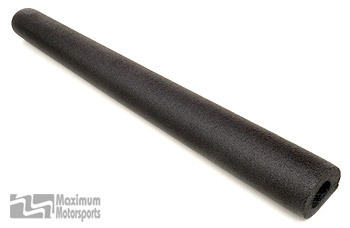 Click the Tech Info button below for technical information on MM Mustang Roll Bars. Click here to see photos of installed roll bars. Mustang Roll Bars, 2005-2014 Conv. Mustang Roll Bars, 94-04 Conv. Mustang Roll Bars, 83-93 Conv.